When, in the mid-1950s, I began to take an interest in racing, it was the long history of the sport which most engaged my attention. I had been following – and playing – football, cricket and tennis for a while, but here was something that had been going far longer than any of them. Tennis was actually an invention of the late Victorian era, and it was only around that time – just three or four generations back in my pedigree – that cricket, football and rugby began to take form as properly organised competitive sports, owing much to the encouragement of the Church of England and its concept of ‘muscular Christianity’. Horseracing had already been a popular pastime for 200 years by then, dating back to the reign of Charles II, when enthusiasts in the north of England began to develop a new breed for the purpose by crossing native mares with stallions from the east. The process became more or less complete by the time of the Godolphin Arabian’s death in December 1753, when reliable accounts of thoroughbred racing were already available. 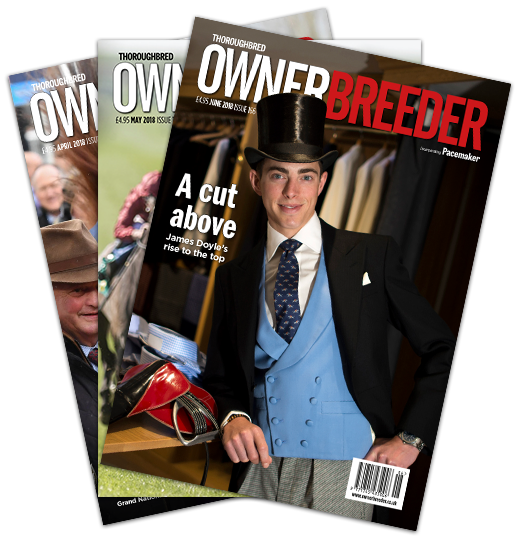 The discovery that racing had thrived for so long as a feature of social life in Britain made me determined to learn more about the cast of characters – owners, trainers, jockeys, breeders and, of course, horses – who had played a part in its development throughout its history. A kid needs heroes to worship, and I felt sure I would find plenty in my quest for knowledge about a sport whose past was no less fascinating than its present. I soon came to focus on England’s Classic races, because those five events were clearly special, held to rank higher in importance than everything else, and had enjoyed that status throughout much of their history. Fortunately, it was not too difficult to gather information about them; there were references to them in countless books I could acquire cheaply, and I enjoyed piecing things together, then compiling lists in formats that suited my purpose. My researches into human achievements in the Classics showed that some records had stood for a long time, including that of the most successful jockey. Between 1792 and 1827 Frank Buckle rode five winners of the 2,000 Guineas, six of the 1,000 Guineas, five of the Derby, nine of the Oaks and two of the St Leger. His total of 27 Classic victories was exceptional, surely likely to last for all time. For part of his long career Buckle enjoyed the patronage of the Duke of Grafton, the leading owner-breeder of the period, and it had to be acknowledged that a number of his Guineas wins were registered in somewhat uncompetitive events with small fields. Those advantages were telling, and it seemed inconceivable that any rider coming along later would enjoy such favourable circumstances. The only chap who got close to Buckle’s score was Jem Robinson, who collected 24 wins between 1817 and 1848, with nine in the 2,000, five in the 1,000, six in the Derby, and two in both the Oaks and the St Leger. He also had some cheap victories among his record 2,000 Guineas tally, but he was destined to be remembered best for his Derby half-dozen, a score only Steve Donoghue contrived to match. Of course, there was a case of ‘what might have been.’ Between 1874 and 1886 Fred Archer notched 21 Classic wins – four in the 2,000 Guineas, two in the 1,000, five in the Derby, four in the Oaks, and six in the St Leger. Such was his dominance among the jockeys of his era that he would have seemed a shoo-in to surpass Buckle’s record, but for his suicide a couple of months after his Doncaster victory aboard Ormonde. The conviction that Buckle’s score would stand for all time was reinforced by the career of Gordon Richards, who erased Archer’s record for the number of winners in a season, then took the score higher again. For all his obvious brilliance over a long period that brought him 26 riding titles, Richards could muster only 14 Classic wins. If he couldn’t get closer to the record, who could? I was compiling all this data in 1958, the year in which I started collecting the autographs of jockeys and noting their Classic wins on the page where the signature appeared. 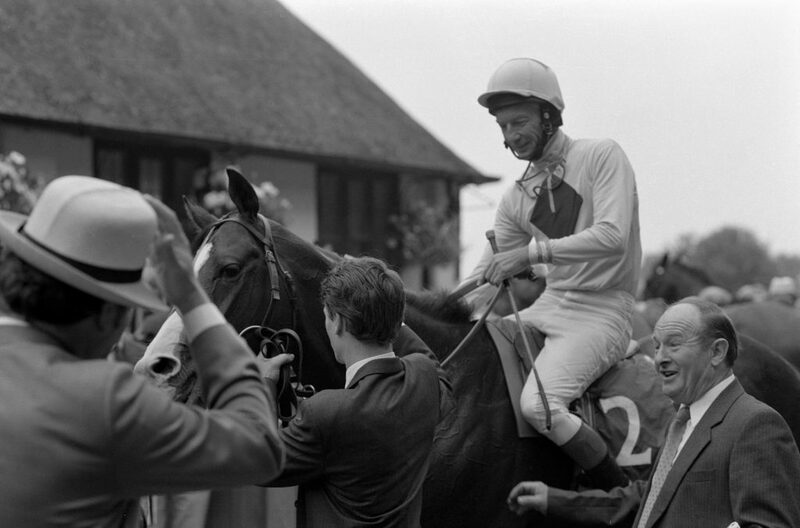 I was thrilled to get Lester Piggott in my book, and duly credited him with his 2,000 win on Crepello, his Derby successes on Never Say Die and Crepello, and his Oaks score aboard Carrozza. Five years after that I had ceased to be an autograph hunter and had become a racing journalist. But I hadn’t neglected to update my records, and by then I could credit Piggott with four more Classic wins – a Derby on St Paddy, an Oaks on Petite Etoile, and St Legers with St Paddy and Aurelius. His tally was now up to eight, and I was in a job which, with a little bit of luck, would allow me opportunities to actually be present where Classic races were run. I might even get to meet Lester! I did get to meet Lester, and memorably, on the first occasion we spoke, he told me a blatant lie in answer to the question I asked. I didn’t blame him; a cub reporter shouldn’t have been despatched to quiz him on a personal matter. 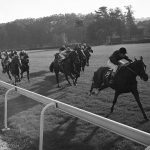 In truth, I was in awe of the man – and delighted to see him chalk up Classic win number nine in the 1966 Oaks on Valoris. Of all the privileges I’ve been granted as a racegoer, I’m not sure that any match the autumn of that year, when Piggott was riding out of his skin, routinely winning every kind of race when defeat seemed inevitable. 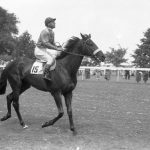 By walking away from Noel Murless at the end of that year, Lester missed out on much Classic glory in 1967, notching only with Ribocco in the St Leger, but he won three of the set in 1968 with Sir Ivor twice and Ribero at Doncaster. He still wasn’t halfway to Buckle’s record, which continued to seem impregnable, and could hardly be recognised as a target. In 1970 I was lucky enough to witness what has been denied to many. I saw Nijinsky land the Triple Crown, and I was present when Humble Duty ran away with the 1,000 Guineas, the only Classic that had eluded Piggott in the past. A front-running masterpiece in the St Leger on Athens Wood in 1971 was followed a year later with a Classic double on Roberto in the Derby, for which he was loudly booed, and Boucher in the Leger, yet another triumph achieved thanks to his association with Vincent O’Brien. Roberto’s Derby meant that Piggott was now level with Jem Robinson and Steve Donoghue, but we could hardly expect that he would win at Epsom on three more colts, Empery in 1976, The Minstrel in 1977 and Teenoso in 1983 – except that on each occasion I was wearing a particularly gaudy tie given to me by Susan Piggott, a plausible omen, at least after the first win. Buckle’s record was vulnerable now. There had been Oaks victories in 1975 and 1981 with Juliette Marny and Blue Wind, and a 1981 fillies’ Guineas triumph with Fairy Footsteps just a week after the jockey had suffered an injury in the stalls at Epsom that prompted John Oaksey to deliver what seemed to amount to an obituary to TV viewers. It was finally clear that Buckle’s record was under threat. 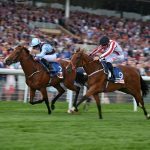 An Oaks victory on Circus Plume came as the equaliser, and Commanche Run’s St Leger meant that there was a new Classics champion. But it wasn’t to end there. Shadeed provided a win in the 2,000 Guineas of 1985, and I was present for the memorable 30th Classic triumph when Rodrigo de Triano scored in 1992. John Sharratt, Raceform’s top race-reader, and I had the press stand to ourselves that day. All our colleagues had persuaded their bosses to send them to Churchill Downs to watch Arazi flop in the Kentucky Derby. I lived to see one supposedly unassailable record bite the dust. What are the chances that I might see another? John Scott’s 40 Classic victories between 1827 and 1863, 16 of them in the St Leger, have stood as the record, unapproached in a century and a half. Aidan O’Brien took his tally to 31 in the 2018 Oaks, and he is still a young man. Am I going to see a second supposedly unassailable record finally overtaken? The only doubt is about how long I’m going to live. It’s a certainty that Aidan will attain the goal.